If you suffer from back pain, you can get lasting, effective treatment at Hamilton Physical Therapy located in Baltimore, Maryland. Dr. Thomas and his team specialize in advanced regenerative back pain treatments to improve your quality of life. Get In Touch Today! Back pain affects an estimated 80 percent of Americans at some point in their lives. But while it is common, this pain must not be taken lightly. Back pain can make everyday tasks an ordeal. It can adversely affect relationships, careers, social interactions, and sleep. Unfortunately, inappropriate treatment of back pain can cause more physical and psychological harm and reinforce unhealthy behaviors. Working with physical therapists who specialize in treating the back is the best way to avoid complications and to address back pain quickly and effectively. Our staff believes in treatments that reduce pain in your daily life. If you're ready to treat a problem, and not just its symptoms, we're the practice for you. Talk to us today to learn more about our care methods, and how they can improve your life and comfort levels. We are open from 8:40 am to 7:00 pm from Monday to Thursday, and from 8:40 am to 12:00 pm every Friday. Please feel free to call us at 410-444-2770 or request an appointment online. We are always happy to help! When Should You Seek Professional Care for Back Pain? Muscle strains and sprains are common causes of back pain, which may be associated with improper lifting, poor posture, and being unfit. Acute back pain can often be remedied with an ice pack, rest, and simple stretches. However, back pain can also result from more serious injuries and medical conditions. That’s why it's important to consult with a physical therapist if the pain doesn't improve within a week; the pain radiates into the legs; or the feet or legs start to feel numb or tingle. You should also report to a doctor if pain presents immediately after a fall or accident. What is the Treatment for Back Pain? Physical therapy exercises. Physical therapy exercises may be prescribed to reduce pain, improve flexibility, increase strength and muscle endurance, or improve posture and motor coordination. Exercises may be performed in varied positions and sometimes may require the use of weights, bands, balls or other aides. Heat and cold therapy. Depending on the nature of your pain, physical therapists may recommend cold packs, hot packs, or a mix of the two. Heat can be beneficial in relaxing muscles and loosening joints before exercise, while ice or cold compresses can help relieve inflammation and pain. Spinal manipulation. An experienced PT can use their hands to press or twist the back to realign the spine. This process can free pinched nerves and relieve muscle tension, and provide pain relief in a non-invasive and safe manner. Transcutaneous electrical nerve stimulation (TENS). This treatment delivers low-voltage electrical pulses to an affected area. The electric currents block the pain receptors from being sent from the nerves to the brain, providing an alternative to painkillers and other less effective pain treatments. TENS can be effective for both acute and chronic pain cases. Massage. Physical therapists can use specialized "soft tissue mobilization" techniques derived from traditional massage-therapy practices to decrease pain, ease muscle tension and trigger points, improve flexibility, and promote healing. 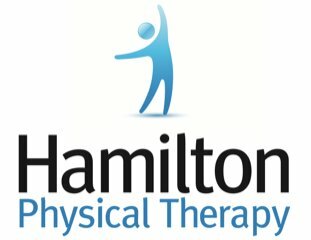 Why Choose Hamilton Physical Therapy? At Hamilton PT, we listen to our patients and create an approachable environment where you can heal and experience relief from back pain. We offer a unique style of physical therapy and holistic health care that aims to effectively treat backaches at their core, providing more than basic relief from symptoms. Our team will always make sure that we personalize and deliver the right treatment to you. Call us at 410-444-2770 or book an appointment online!